Properties of surface plasmon polariton waves are theoretically studied in structures containing topological insulators with the axion effect. The effect of axion properties on dispersion, localization, and polarization of plasmon polaritons is analyzed. 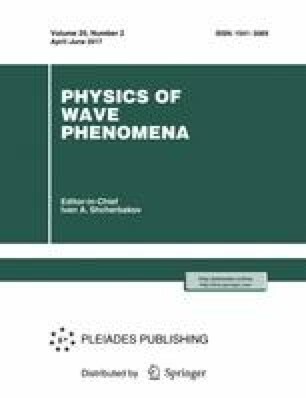 A possibility of determining the axion effect from the variation in the plasmon-polariton polarization is shown, and conditions for enhancement of polarization effects are revealed in waveguide structures of the dielectric−metal−dielectric type.